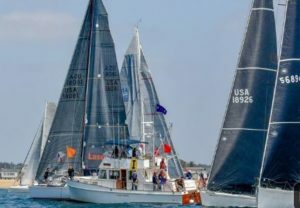 NOSA will again be running 3 courses heading south on April 26th 2019, Newport to Ensenada, Newport to San Diego and Newport to Dana Point. Registration is now open and the NOR is posted at NOSA.org. There will be something for everyone in this 72 annual running of the event. This early registration will allow racers to get this on their busy schedule and have plenty of time to prepare. Look for new innovative programs, events and website enhancements this year. Len Bose and Bruce Cooper will be hosting sailing seminars that will have something for all levels of racers. Make sure you are at the starting line and sign up now.